I know everyone has been anxiously awaiting this update & rightfully so! 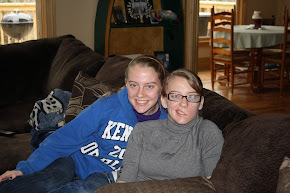 Last week when Jordan was in preop for surgery we were told that she would be back anywhere from 30-40 minutes to 2hrs. The plan was to go work on the right eye(the good eye) and to POSSIBLY work on the left eye (the bad eye). When Dr. Buckley came out a little over 2hrs later, he dropped the bombshell that he ONLY worked on the outer muscles of the left eye! I was so shocked I couldn't even ask that many questions at the time. He explained his reasoning was that he needed to see what all he could get out of the left eye before touching the right eye. I understood and respected this decision but whew this was a hard thing to swallow after 2 previously failed attempts! All I was worried about was telling Jordan this news. As, usual she was a spitfire when she woke up! The nurses thought she was funny and we amazed at how coherent she was after just having anesthesia! She immediately asked why the left eye was covered vs the right eye. She took the news as good as expected but was still foggy on the why of it. The one positive from this surgery was she had NO nausea and vomiting & we got to take her home pretty quickly after surgery! The eye had to stay patched for 24hrs and we had to continually put ointment in it until she was seen the next am. When we got her settled in at the hotel the shock started to set in that only the left eye was worked on. There were lots of tears shed and we all did our best to reassure her with some success. I was devastated and just wanted to take all of her pain away! If only Mom's could do that for our children! The next day we saw him in clinic and this time he explained to her why he chose to only work on the left eye. He also explained that yes, he does still want to work on the right eye in the future. 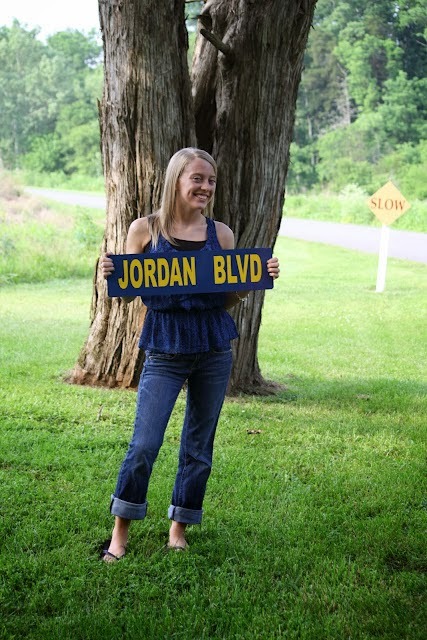 While Jordan respected this decision she has been very discouraged since that day. She has had many emotions and fear that that this surgery was again, a waste of time. We have all tried to keep her reassured and Cory has done an excellent job taking care of her! So,to be honest I really have been procrastinating on a update until we had her follow here. Today, we saw Dr. Bradley in clinic. Jordan had prepared herself as best she could for the bad news that she just knew was coming & I had tried to prepare myself. Jordan did all the normal tests and then the waiting to see Dr. Bradley began! This wait felt like forever! Finally, she came in the room and after catching up with us, she started her own testing. To our surprise, she gave us POSITIVE news!! She saw GREAT improvement, in her eye! She even told her that she could go without her glasses until she saw her again in the next few weeks and then she would retest her eyes and make any changes to the prism and lenses at that time! Oh, how the happy tears flowed & the surprise of NO glasses was HUGE! So, prayers were answered! Now, some of you are thinking does she still see double, and the answer is yes in that left eye but with lots of improvement! Before she could not go without her glasses because the double vision was so bad it would make her sick. 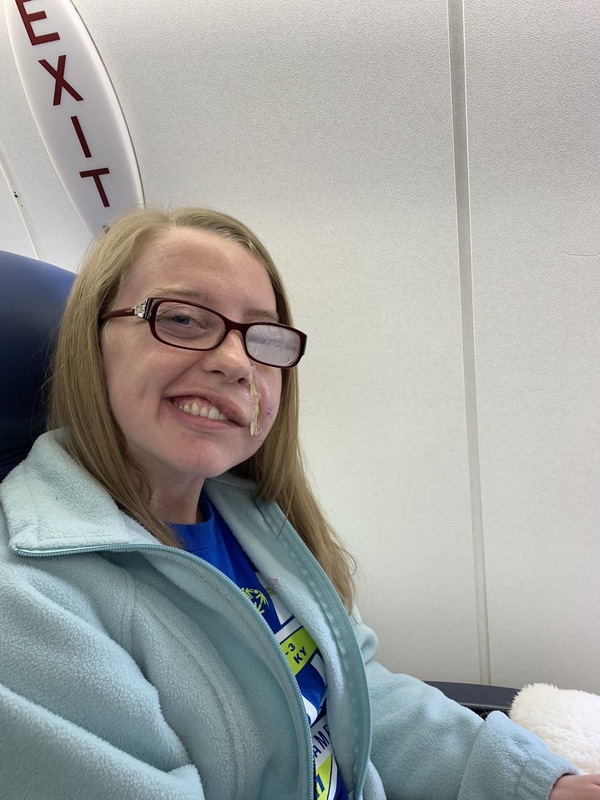 Jordan hasn't wore her glasses since the surgery and has done well without them. She told Dr. Bradley it was because she was in denial about the surgery! She is just one strong and amazing girl! 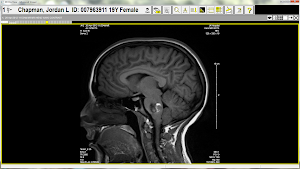 So, now our focus shifts to her follow up in Boston in April and the follow up apt with Dr. Bradley. Thanks again for all the thoughts & prayers! Oh what a road trip!! We arrived in Durham yesterday and are so thankful to have Taylor & Cory along with us this trip! Last night we got settled in, got some dinner and had some YUMMY Thai ice cream that was made right there in front of us! I suggest if you are ever here to stop by the Snow Factory and check them out! Today was surgery today and things went a little differently than planned. The plan was to work on her right eye (the good eye) and possibly work on the left eye. When Dr. Buckley came out to talk to us he said that once he started the surgery and looked at both eyes good, he decided to just work on the left eye. He said that he made this decision because he needed to see what exactly he could get out of the left eye before working on the right eye. I know that he did work on the muscle but not sure exactly what muscles he worked on. Yes, this Mom had a weak moment and didn’t ask for clarification because I was not expecting to hear that news. While I was shocked by the news, I so respect this decision and we are anxious to talk with him more tomorrow about this at her follow up appointment. We are so thankful that so far Jordan has NO nausea and vomiting this time around! We are praying that this continues! At this time Jordan is resting well and her pains seems to be under control. Our main thing over the next 24hrs is to keep the eye good and moist! This is important to help the eye heal since her left eye does not close all the way! We are hopeful to have a very quiet and uneventful night! Thanks for all of your thoughts & prayers! Please continue to PRAY FOR JORDAN! Get your tissues out......AMAZING NEWS!! The above picture says it all!!!!! Jordan has movement and some feeling! There are so many tears of joys!! My girl has waited over 6 years for that big beautiful smile to be somewhat symmetrical & the wait has been worth it. Look how beautiful her and that smile are!! The movement and feeling began a couple of weeks ago and has advanced along to what you see above! She is BEYOND excited and thrilled that there has been such positive results with this last surgery! She is also anxious to get to Boston for her follow up in April to have the therapy appointment to teach her how to do the smile above with more ease instead of having to concentrate on smiling. For now she is enjoying that smile and all of us are enjoying seeing it! We are gearing up for the eye surgery which has been moved to 3/4/19. She is a little apprehensive about it but very hopeful that the surgery will be successful! On other news....as some of you may have heard Jordan & Cory are getting MARRIED this year!!! They were submitted and were the lucky winners of a wedding by The Great Wedding Giveaway! They both are SO excited and thankful to have been given such a generous gift. The wedding planning is in full swing and we are very thankful to have Lindsay (White Oak Design, CO.) as our wonderful wedding planner! We are excited about all of the amazing vendors that are on board and can't wait to tell you all about them! So an exciting year ahead and as always thank you for all of the thoughts and prayers! Well the past 6 weeks have flown by! Jordan is doing great but unfortunately has had some post op complications with her leg. The week after surgery she developed a seroma, which is a pocket of fluid, in the outer leg incision despite us wrapping her leg daily. This has had to be drained weekly since surgery and Jordan says it feels like her leg is jiggling when she walks! LOL This will resolve itself with time but is a BIG inconvenience for her. 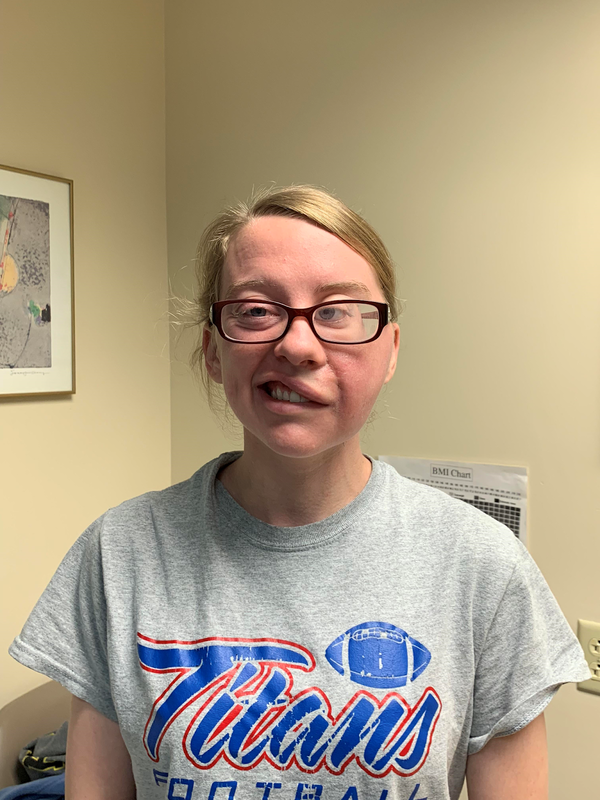 But in true Jordan style she has been a trooper with this and we are VERY thankful for Dr. Chris Marek in Danville, KY for taking care of this for her. He is absolutely wonderful to us! The face incisions have healed up nicely and we are patiently awaiting for that nerve to start working! The facial swelling is slowly subsiding but seems to always be there in the mornings. When we asked about this they said that it would take a good 12weeks for this to fully resolve. We should be used to this waiting game by now but we aren't! She called me a few weeks ago and was like "Mom when I brush my teeth on the right side I can feel it on the left side"! That is new for her so we are both taking that as a positive sign! We have also gotten the date for Duke and it will be 2/15/19. So once the holiday fun is over we travel again! 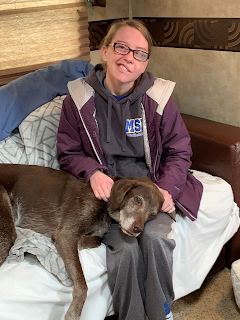 She is back to work and we are all preparing to spend Christmas at her and Cory's house since we are living in the RV while the new house is being built. 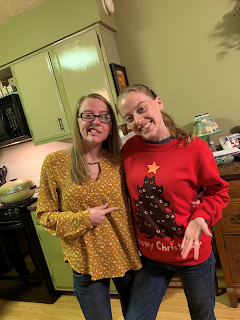 She is excited to host the festivities this year and to celebrate her & Taylor's 26th Birthday!! Hard to believe they will be 26! Where did that time go?!?! 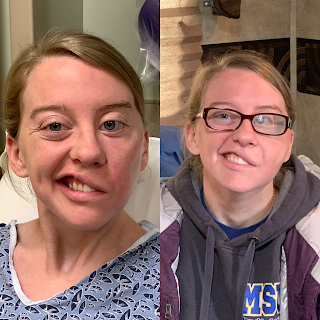 Below are some pictures since surgery! We thank all of your for your continued prayers and support! We hope that all of you have a very Merry Christmas and a wonderful New Year! We arrived home Saturday afternoon and we were both glad to be home and to see everyone! Jordan is doing well and getting settled into her normal routine. Taylor came home Saturday and spent the night with her and Cory & Sunday they binged watch movies and just spent the day together. As always Cory is doting on her. His love for her is amazing and I am so thankful he loves my girl the way he does. So I go home at night and come back during the day to hang out with her and Cooper! Out of all of this her leg is what is giving her the most trouble, I thought for sure it would be the face inscion that has 50 or so sutures! So doing little things like putting her on her socks and shoes, climbing into bed, and just sitting down on the camode are still difficult and require assistance. Her walking is getting back to normal and her facial swelling is improving everyday. While the healing part continues the hard part begins....the wait to see if this was successful. It takes 3-5 months for the nerves and muscle to regenerate & to see results. We are scheduled to go back to Boston the 2nd week of April for a follow up. I am hopeful we will see some results before then! So please continue the prayers for my girl for a successful outcome. I believe there is power in prayer! Below are some pictures that have been Jordan approved! On the plane heading home! At the airport 11/10/18...one step closer to home! The marks are where they checked for pulses daily and the incision. Sorry I have been a little behind updating the blog, the last 24 hrs has been a whirlwind! Jordan busted out yesterday afternoon and we successfully made it to the hotel! As I suspected moving around with her, the luggage , and her mobility being rocky was a little tricky but we did it! While she was anxious to get out the hospital we really just traded 4 walls for a different 4 walls until Saturday am. We are very thankful that these 4 walls have a comfy mattress and a good hot shower! After getting settled into the hotel we got some dinner and she had me binge watching Jersey Shore Family Vacation with her! Not sure what made us really notice but we both started to notice that her lip seemed more swollen than it was this afternoon. Jordan had even asked at discharge if she had stitches inside her mouth that we were unaware of and they said no. This made me actually take a really good look at her lip and inside she has what appears to be a hematoma on the inside of her lip. Of course me being me, I took pictures and immediately sent the MD a email. We are still waiting to hear from them about it. Sleep was was very broken for us both last night and Jordan talked in her sleep constantly talking to Taylor and asking for her and Cory. This morning she was up bright eyed and bushy tailed at 6am wanting to take a shower because todaywas the day she could finally wash her hair! So this morning we have already showered and had breakfast all before 0800! Crazy!! LOL While eating breakfast she decided that we would wait to hear from the MD about her lip (which she thinks is a little less swollen today), and go out for some lunch. She even let me snap a picture and approved it for posting! I think she is starting to feel a little couped up! So if anyone knows a good lunch spot in Boston shoot me a text or email! Tomorrow we fly home and we are both excited to see our loved ones and our puppy dogs. Post op day 2 and am update for day 3..
Oh what a difference between day 2 and day 1!! Yesterday she turned a corner, tolerated food, and most importantly was able to keep it down! She walked a ton, played Jenga with her little friend, and played around on her iPad. While her and her little friend were playing the chaplain came around and he was telling her little friend what a big smile he brought to Jordan’s face. Jordan said something about her facial palsy and her uneven smile and her little friend said “ You have a beautiful smile”. That brought a tear to my eye! 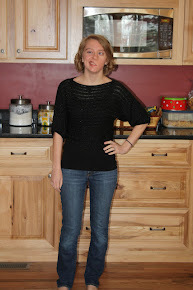 Here is this child that sees what I see everyday but what she is sometimes unable to see. It was such a sweet moment. She is a little discouraged that walking is so tough and she is hopeful once the final drain is pulled it will improve. I keep telling her one day at a time! The facial swelling is at its worse today. Poor thing looks like she has a shiner :( That too will start to subside slowly. She is starting to worry about how she is going to do things once she gets home and I keep telling her she will have so many people around to help her she is going to get tired of us all! As a Mom, I just want to help her do everything so she doesn’t fall or get hurt. Stepping back is hard to do but something I know I will have to do in the days ahead. Now one of the crazy things they brought her yesterday on her supper tray was purple sherbet! Who has ever seen sherbet that color? It was raspberry flavor and she did the taste test and said, “ Nope not for me”. LOL I guess we were both expecting the normal orange sherbet but boy did we get a surprise! The team has already been in this morning and the plan is to pull the last drain this afternoon and then kick her out! We are both ready to bust out of here and she is anxious to be able to take a hot shower tomorrow & finally be able to wash her hair! Not going to lie we are both a little nervous about getting around with her and luggage in tow! We have discussed several scenarios this morning and have come up with a game plan. Let’s hope it works! Yesterday started very early for Jordan. The team came in early and checked the blood flow to her flap and they say it sounds “beautiful”! She also got to loose the drain that was on the outside of her leg! One down 2 to go! Then we went down to ultrasound early and got great news that confirmed the flap has GREAT blood flow!! The ultrasound tech also remembered her from her 1st surgery and the fact that she was a twin because she is also a twin! It was nice to see that after 4 years she still remembered Jordan. I wished I could tell you that the day stayed that positive but it was not to be. Jordan has been fighting nausea and vomiting since early Monday evening. We tried several times yesterday to advance her diet and to no avail the end result it all came right back up, every time :( They played around with her meds but even with the meds on board the n/v persisted. Even with that going on my girl still got up and walked 3 times yesterday and early evening finally felt like getting dressed! As I suspected mobility is tricky. The left leg is her good leg and she is very unsteady on her feet. I am hopeful that once the last drain is pulled that mobility will improve. She continues to amaze me with her resilience and strength. Our new friend that welcomed us to the floor stopped in several times to check on Jordan and let me just say he is the sweetest 9yr old! Every time he told her how he hoped she would get to feeling better soon and is just so polite and like Jordan, wise beyond his years. They tell me that he goes to every room to say hello and to give them all good wishes! Isn’t that the sweetest! The team has already been in early this am and checked her flap and unwrapped/rewraapped her leg. At this time she also got to loose the face drain...YEAH! 1 down 1 to go! 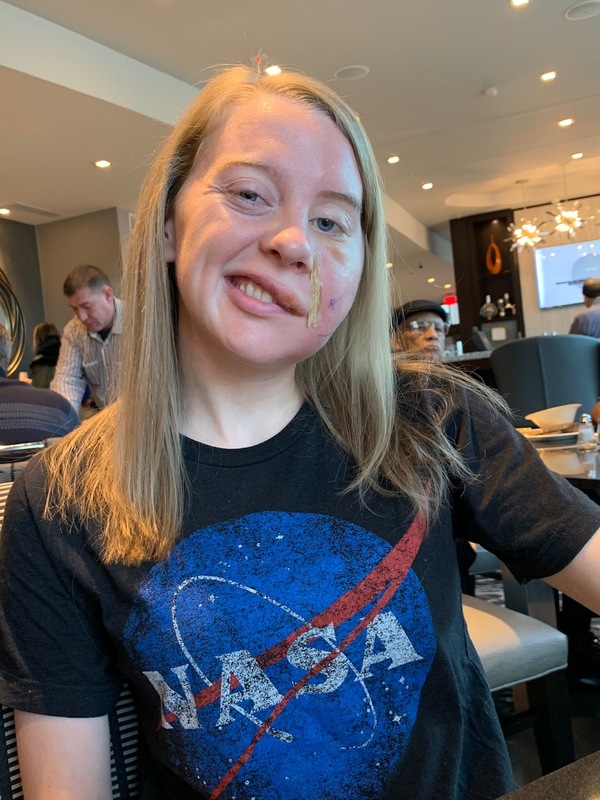 The facial swelling is worse today and that is to be expected. Tomorrow that should peak and then the swelling should start to subside. The leg drain is still putting out a good amount so don’t expect to loose that until maybe tomorrow. We did learn this am that she will have to keep wrapping that leg for 2 weeks to make sure the fluid doesn’t collect after their final drain is pulled. Dr. Hadlock also just popped in and was just overjoyed with how well things went in the OR and she is very very hopeful that when we see her in April there will be movement! So today’s goal is to keep food down and walk! Thank you again for all of the calls,texts, thoughts, and prayers. It takes a village and at times like this I am VERY thankful for how big our village is! Jordan came out of surgery about 1:30 and I got to see her about 3. She was lucky enough to have a post op nurse named Linda who had taken care of her before and remembered her & Cooper! LOL Cooper is Jordan’s dog for those of you who don’t know who he is. Dr. Hadlock & her team were very pleased with the way things went! They did remove the muscle that was previously transferred and replaced it with new muscle from her right leg. She said that the transferred muscle looked good and she thinks the 1st surgery was unsuccessful due to poor nerve regeneration. She said the nerve that was transferred in the previous surgery was working but just wasn’t strong enough to get that muscle moving. As I said in my last post, Jordan has incisions on the inside and outside of her left leg and down the old incision on the left side of her face. All three places have drains that will stay in place for the next few days. Unfortunately, she can’t have anything by mouth until after she has a ultrasound in the am to check the blood flow of the graft. If the graft looks good she gets to eat, if they see a issue she will go back to the OR. So fingers crossed all looks well! According to Dr. Hadlock & her team this surgery has a 92% success rate! 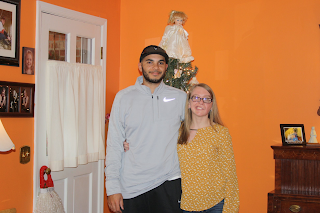 The pain has been minimal but as most of you know that have kept up with her since this journey began, my girl has a very HIGH tolerance to pain. So we have to keep on her about telling us when the pain is too much. We thought she was all clear of the queezy belly but we spoke to soon. At this time she is finally back to sleep with nausea meds and pain meds on board. We are very lucky to be on the pediatric floor and I was pleasantly surprised when they gave us a room with 2 beds! We also had the sweetest little boy welcome us to the floor and brought Jordan a slinky:) So I am off to sleep while she sleeps. Thank you for all of the calls, texts, thoughts and prayers...we sure do appreciate them! We arrived very tired at the hospital early this am for what hopes to be the last & a SUCCESSFUL facial surgery. Preop was very unventful and we got a lot of last minute questions answered. Surgery is expected to be between 6-8hrs long (we heard that timeframe days ago but it still hadn’t sunk in til today). Dr. Hadlock and her partner Dr. Jowet will be doing the surgery together. The surgery consist of them taking muscle and fascia from her left leg and placing it into the left side of her face. This will entail removing the muscle that was transferred during the 1st facial surgery. 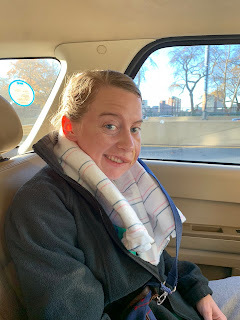 They are also going to connect the chewing nerve and blood supply to the muscle that they are going to transfer today. This will take about 3-5 months for all of that to start working. 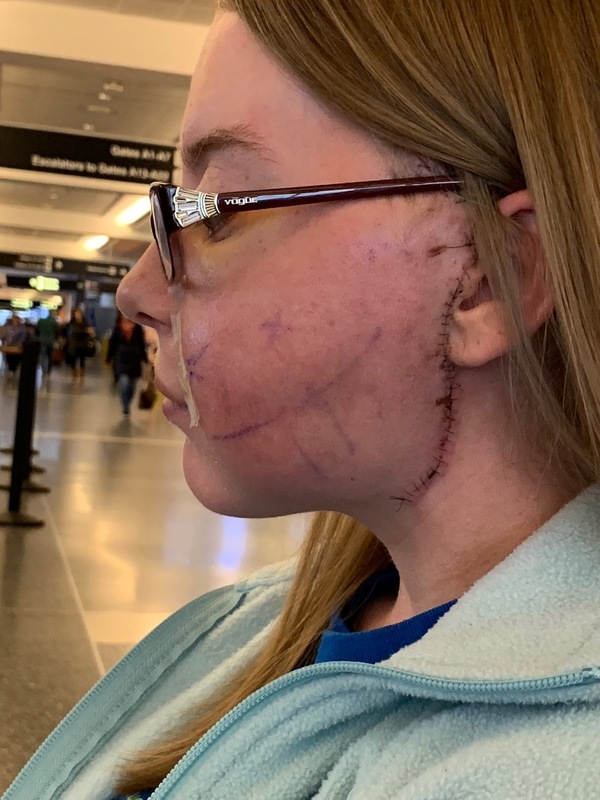 There will be several incision on the left side of her face, she will have a drain in her face, and 2 in her right leg where the muscle/fascia are removed. She will also have a foley until tomorrow and will also not be able to eat or drink until tomorrow :( We will be admitted until Thursday. So I foresee lots of walking and Netflix in our future! Jordan was in very good spirits this morning and was very anxious to “get the party started”! LOL. She told me just before she was whisked away that she had the easy part today and I had the hard part. She is so wise beyond her years! As I sit here typing this I can’t help but reflect on the the past 6 years. This journey really began when she was diagnosed but the real path of the journey began in 2012. My girl has been through so much these past 6 years. As a parent I only wished that there was a magic wand somewhere that would make all of this better for her. 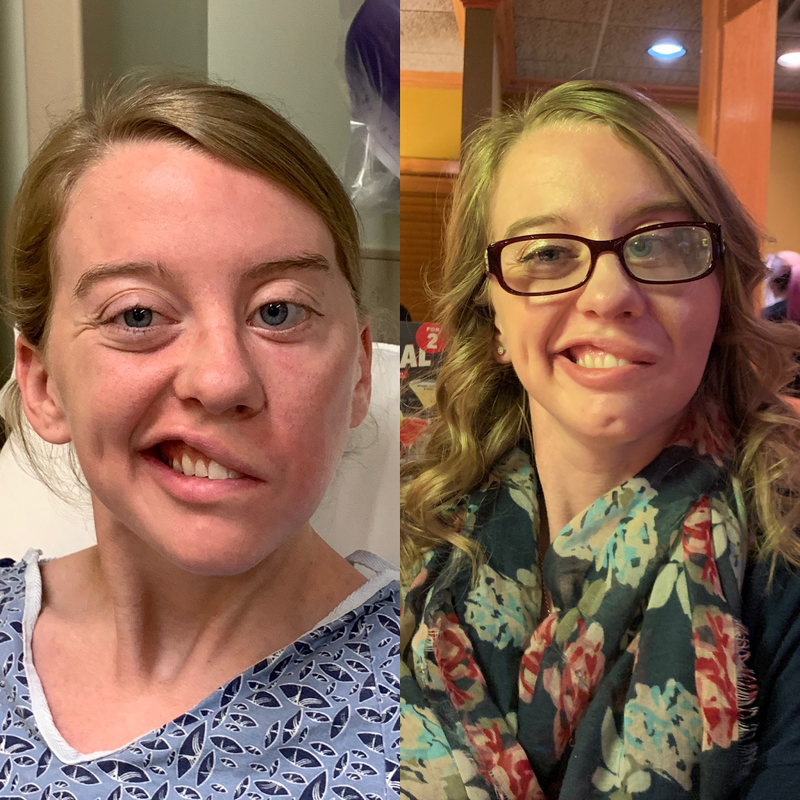 Yes, she has adapted to her deficits, yes she has overcome SO many things, but I also know that the facial palsy and the eye issue bother her more than she would like to admit and I can understand that! As a Mom I hurt because I can’t fix them for her! 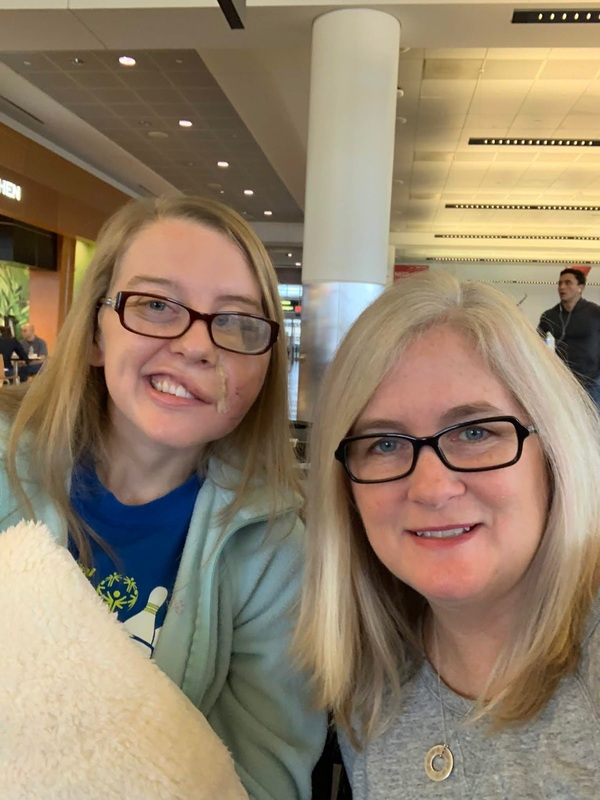 So today I am praying that this surgery is successful and that in the months ahead when she goes to chew we will see a symmetrical big beautiful smile! What a great visit at DUKE!!!! Well our trip to Duke was absolutely FABULOUS! Both flights were great and I must say Jordan & I both think TSA pre-check and flying direct is the ONLY way to travel! So if you do tons of flying and you haven’t gotten the TSA pre-check, well you are missing out! As I am writing this update I feel like I am having a déjà vu moment! As most of you know, in 2012 when Jordan starting having issues we had started building a house and here we are again building another house. I think this surgery thing kicks in when we start building to save me from driving my husband and everyone involved in the house CRAZY! Now, on to the update that everyone has been waiting for! We received “good news”!!!! They actually said that phrase and Jordan’s immediate response was, “Oh we never hear that”! Dr. Buckley was very intrigued by my girl, but hey who isn’t!! 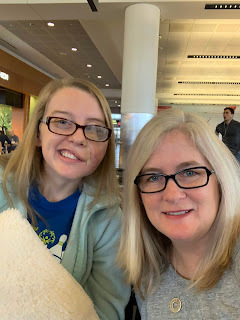 After a very lengthy visit and Jordan going through all the eye exams (which she always feels like is a test she fails), we have a plan in place. Dr. Buckley will operate on her sometime in February, Jordan’s request since she is having surgery in November. He will work on the inner muscles of both eyes and possibly work on the upper and lower muscles of the left eye. The goal with this is to get the left eye straight and to hopefully have more movement in that left eye. 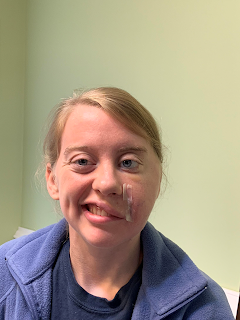 We knew going into this visit that he would probably work on both eyes and up until now she has been very hesitant about it but after talking with Dr. Buckley she is more comfortable with this approach. The best thing about this surgery is it will be outpatient & then he will see her the next day to clear her for travel. Unfortunately, she will be off work for 2weeks after to give her eyes time to heal. She is very excited about this and we are both very hopeful for positive results! You know we couldn't take a short trip without having a little fun! After the MD visit we went to the mall grabbed some lunch, shopping at the book store, and seeing a movie! We had a great day and a good dry run of travel for our upcoming Boston trip! One thing is for sure we have mastered UBER! Also, on a side note for those reading that have a removable fresnel prism on your lens she learned a trick about these while we were there! Jordan knew that you could take it off and clean it but was always concerned about it not staying on the lens once it was removed and then replaced. Well, the little trick we learned was if you get it slightly wet and then place it on the lens it will dry and not have air bubbles! Jordan was like," how have I not know that the past 6years I have had this thing!" As always, thanks for all of your good thoughts and prayers! PRAY FOR JORDAN!!!! Oh what a whirlwind of travel Jordan and I are having this fall! We travel to Duke next week to see Dr. Buckley to get an opinion on her left eye and to see if there are any options available to her. We both are not sure of what to expect, yet excited to see what he has to say. Jordan just really wants that eye to be straight and we are VERY hopeful that he has some good news for us! I am sure that we will have to sport some UK blue while we are there!! GO CATS!! We are also getting prepared for Boston! Hard to believe that it is just 4weeks away! Been awhile since we have done this whole hospital/surgery thing so I have had to make a list of all the things we are going to need so I don't forget anything since it will just be the 2 of us in Boston this go around! As always please continue to keep Jordan and our family in your prayers! PRAY FOR JORDAN....BRAINS SHOULD NOT BLEED! Oh what a travel nightmare this trip was! It started off with our 1st flight being delayed, which caused us to be rerouted on our layover flight to Charlotte. We arrive in Charlotte and the crew was delayed so we didn't land in Boston until after 5pm. With all of the 1st day travel issues Cory was stalking our flight status on Tuesday. So, after we had seen the MD we had a great lunch at the Hard Rock and was walking to Faneuli Hall to grab some yummy desert, when he found out our 1st flight home was delayed. He immediately was on the phone with the airline and they informed him we would totally miss our layover connection in NY. There were also no other flights leaving from Boston going close to home :( Ultimately, our flight ended up being cancelled. So, instead of staying another night in Boston and risk going thru the same thing again the next day the decision was made to....DRIVE HOME! Whew what a wild ride that was!! So, if anyone is wondering, it took 14hrs to get from downtown Boston to Cory & Jordan's driveway...965miles! Jordan was a champ and stayed up during the LONG ride home talking to whoever was driving. After getting home and taking about a 4hr hour nap Cory and I got back up and drove to Louisville to drop the rental off and pick up my car. We hope to NEVER have to do that again! Jordan & I both kept telling Cory that we had made this trip several times and had never encountered any of this travel issues until this trip! We are hopeful the next trip is much smoother! Now, let's get to the MD update! Yes, Dr. Hadlock was very disappointed that she did not have more movement on the left side of her face but was pleased that there was feeling on that side. 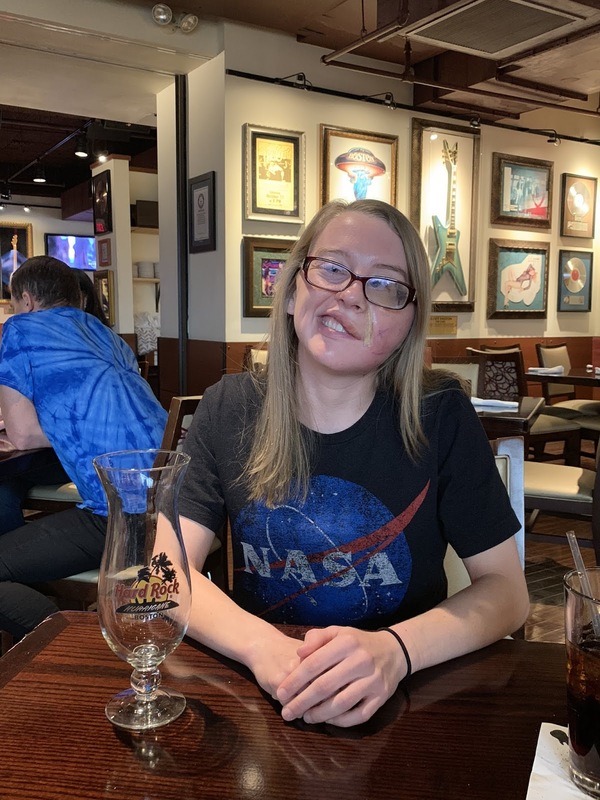 After some discussion it was decided that Jordan did have another surgical option and she has decided to go forward with this. This will entail another 3 day hospital stay and we will be in Boston for a week. We went ahead and napped the last spot for the year so she is scheduled for surgery Nov 5th. This surgery will entail putting the chewing nerve and taking some muscle from her leg again and placing them into the left side of her face. Again this does not have immediate results. The results should be seen in 4-6 months and the goal is when she bites down and acts like she is chewing it will make her smile symmetrical. Now the insurance game begins and we pray that this is approved by them. We need all the good vibes and prayers you can spare! PRAY FOR JORDAN.....BRAINS SHOULD NOT BLEED!!! !